Great India Tour Company (GITC) is one of I ndia’s leading travel and tourism companies, the leisure wing of ATE Group, formed to offer specialised and professional services ensuring cost effectiveness and quality in the global tourism industry. The core team comprising of the best talents add value to GITC’s tourism legacy. GITC goes beyond a vacation to give you an authentic travel experience with a simple approach: small groups of like-minded people, getting off the beaten track and not just seeing a place, but really experiencing it. The varied product line of GITC includes intra-India travel & leisure pack­ ages, Indian experiential holidays, destination weddings & film tourism, global leisure packages, niche hideaways, circuit development, MICE, Cruises, Medical tourism etc. Our core strength is handling highly specialised products related to travel/tourism around the world. GITC maintains an iconic image as an active member of all leading travel-trade organizations and operates with global partners as their DMC (Destination Management Company). GITC has a futuristic approach in all its planning and implementation. Innovative initiatives like “Travelshoppe” where a travel counselling team is equipped to sell varied experiences on cultures, advise on travel etiquettes & practices, and ‘how to save’ by making intelligent decisions in a foreign city when shopping, using public transport etc. A.T.E Group began its journey way back in 1976 with a quest to discover a simple philosophy of making travel as hassle free as having one’s own wings. Today as a group, we soar far and high with diversified interests in all areas of Travel, Holidays, Hotels, Spa, Tourism Consultancy, Health Care Management, Information Technology, Leisure Consultancy, Advertising and Event Management. In more than two and half decades of uncompromising service to our customers we have been able to grow into a group of International repute. Our presence has spread to all major metros and cities of India as well as to international locations with services that are focused to provide the best to the discerning traveller. 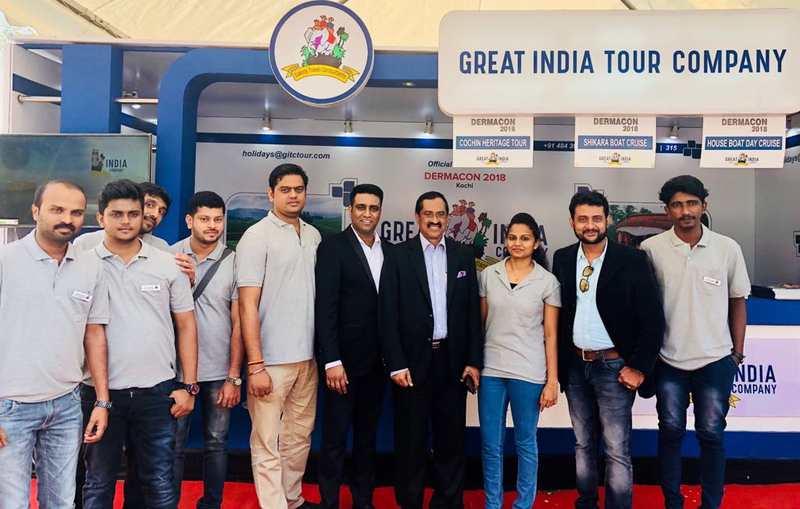 The Great India Tour Company (GITC) was later formed to offer specialised and professional services ensuring cost effectiveness and quality in the global tourism industry.